I was at a lost actually cos the least expect the more surprise you get! 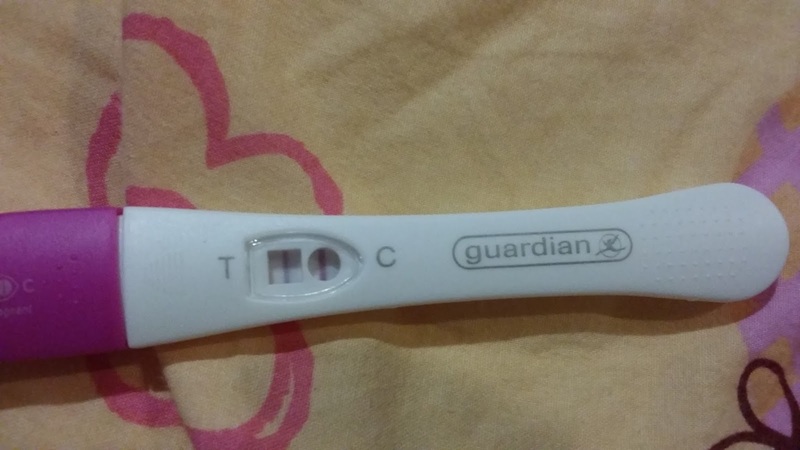 And yes after 7 years I am pregnant again. Well I actually suspect abit cos I started to cough and when I have Alyssa symptoms was COUGH too! Due to many disappointed tries I started to buy cheap pregnancy kit hahaha ... but then I have doubt of it cos line is quite faint actually. But well I broke the news to my MIL and she really happy about it as for Goh and myself we are quite calm this time. Maybe we really tired of trying then now a surprise is not really that thrilling anymore. But still I have to see when to see a gynae will be better and I pray everything will be a good one as age is catching up .... maybe "machine" got more problem already. Well is a gift from god I hope it will be a smooth one for me .... no complication and I will be very happy and as long as he/she is healthy!